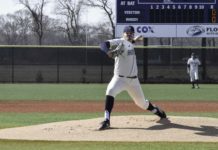 The Rhode Island men’s baseball team rebounded strong with a series victory over Virginia Commonwealth University by winning the first two games at home, before succumbing to the Rams in extra innings 7-3. Tyler Wilson once again was fantastic, giving up just one run in seven innings while striking out six. Wilson has really pitched well, and overall Rhody has now won three straight three-game series, besting Towson, George Mason and now VCU, respectively. Congratulations once again to former URI guard Xavier Munford, who, in the two weeks after I mentioned him for the first time in this section, has now signed a two-year deal with the Memphis Grizzlies and now will play heavy minutes for the Grizzlies in the playoffs. Mumford most recently competed against the defending champion Golden State Warriors, playing 30 minutes and putting up eight points, seven rebounds, four assists, three steals and one block. Even if he is a backup point guard, he has still earned a spot in the NBA. 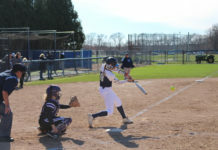 Tough weekend for the Rhody women’s softball team, as it really struggled after taking the first game against Saint Louis. 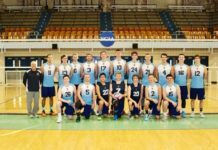 After winning 4-2 in the first game, Rhode Island lost the next two 11-0 and 9-1 respectively. Â A tough road trip for the softball team, and it has now won just two of its past eight games. It has also been outscored handily in that span of games, 60 – 21, signifying the rough patch overall rather than just one area of weakness. Continuing tough times for the Rhody women’s tennis team, which has now lost 11 matches in a row and 14 of 15 since winning its opening match. In that stretch they have been beaten soundly more often than not losing 7-0 eight times and 6-1 three times. It as two matches left in the regular season to turn that streak around. Tyler Wilson (vs VCU) – Wilson continued his torrid stretch on the mound pitching a strong seven innings, surrendering just five hits and one run while striking out six and walking only one batter. Nigel Riley (Yale Invitational) – Riley won both the triple jump and long jump, leading a very solid performance by the overall team. Riley has built off of his strong fifth place finish in the Atlantic 10 Indoor Championship. Team of the Week: URI men’s track (Yale Invitational) – The men’s team had 10 individual winners in their respective events, being led by sophomore Nigel Riley. Off the Record: Â The Celtics have the fourth best defensive efficiency in the NBA despite playing at the second-highest pace in the NBA, behind only the Golden State Warriors. They also have the eighth highest assist ratio, but are just 12th in offensive efficiency.